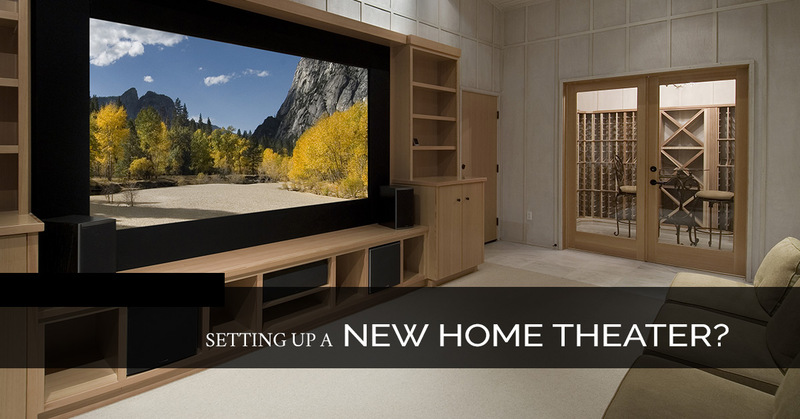 Setting Up a New Home Theater? If you’ve dreamt for years of having your own home theater, then Masterpiece Lighting in Atlanta can help you find the perfect fixtures for the space once you begin working on it. With the right lighting design, you can have an amazing space where you and your family can sit down and watch your favorite movies, TV shows, and live sporting events. It will quickly become the most popular room in the house! When you start building your new home theater room, or perhaps renovating your living room to make space for the projector screen and plush seating, you’ll need to think about what type of light fixtures you’ll need. You’ll want to have a good combination of all three lighting categories – ambient, accent, and task lighting – and our staff can help you choose the best options. Recessed lighting is a necessity in your entertainment space, especially if you have a ledge around the perimeter of the room. If there are columns in the room, think about placing wall sconces on each one to give the space that true “theater” look. The sconces should direct light upwards, and can be placed higher up on the columns to accentuate the upper portion of the room. The combination of the recessed lights and the sconces will provide the ambient and accent light you need. Since you’ll be using the room primarily for watching what’s on the screen, you may not think that you’ll need task lighting. However, having a few table lamps can make it easier for people to see as they’re finding their seat, especially if the recessed lights and sconces are dimmed or turned off. Lamps also add a nice decorative touch, and they’re a great option for the end of the movie when you need a bit of light, but don’t want to turn on the main fixtures. Every home theater needs the proper lighting controls, since you need to be able to dim the lights once the feature presentation begins. 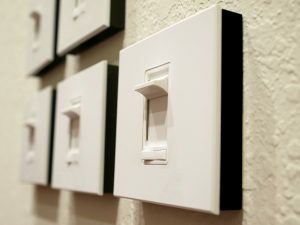 Dimmer switches are an important part of your lighting design, and with the right levels, you’ll be able to create the perfect mood and the perfect movie-watching atmosphere. LED or fiber optic strips along the baseboards can also be a nice touch, but you’ll want to be sure you can control them independently of the other fixtures in the room. A home theater can make your house the most popular spot in the neighborhood, and if you’ve been thinking about adding one, let Masterpiece help you find the right lighting options. With showrooms in Atlanta and Roswell, we can provide you with an outstanding selection that meets your needs and fits your budget. If you have questions about installing or optimizing your new lighting, we can help with that as well. If you’d like to speak with a member of our staff before you visit one of our locations, simply fill out the form below and we’ll get back to you as soon as we can.